Climb to the top of Kilimanjaro, Africa's tallest peak, via the Rongai Route. This is the only route option on the Northern/Kenyan side of Kilimanjaro and offers guests a more remote, wilderness experience! 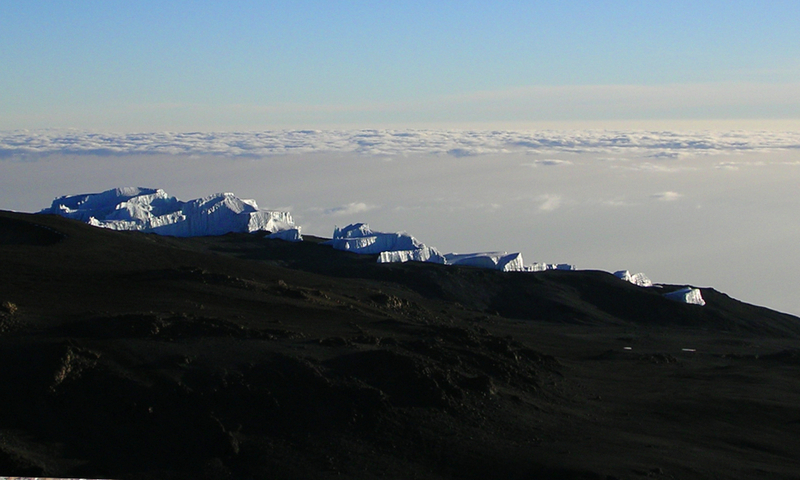 Explore a different side of Kilimanjaro! Unlike the Machame and Lemosho routes up Kilimanjaro, the Rongai route approaches from the north, near Tanzania’s border with Kenya. 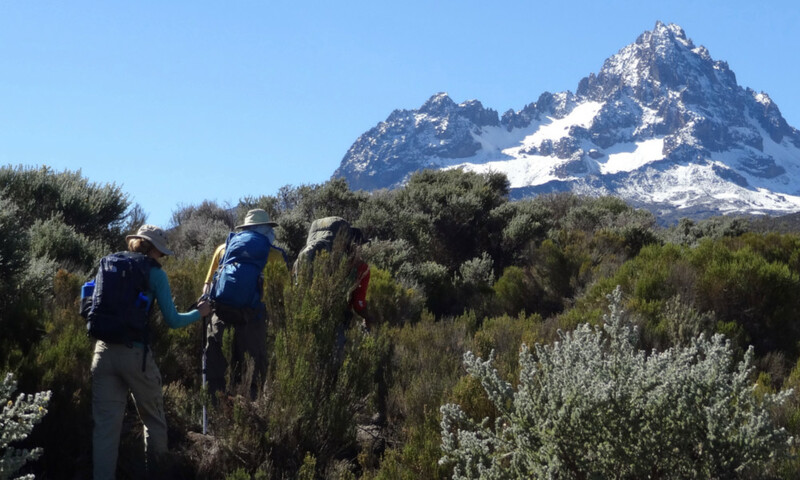 Considered slightly easier than the Machame route and more remote than either of the other routes, the Rongai route offers guests an enjoyable trip with lots of scenic moments along the route up. The 10 day itinerary includes travel and rest days. Spending a total of 7 days on the mountain, we have found that this pace helps offer guests a better experience and optimize their chances for success. Our starting point in the village of Nale Muru is 6,400′ and ascends at a more gradual pace than the Machame route. The weather tends to be drier on this side of the mountain and usually offers guests more unclouded views of the mountain. This route is perfect for guests seeking a quieter ascent away from the traffic of the other routes. As with our Machame and Lemosho itineraries, the Rongai route features a descent down the Normal route which offers new scenery after the summit as we descend off the mountain. MOSHI: Our trips begin in the city of Moshi, located just a short drive from the Machame gate and offering views of the mountain when not obscured by lenticular clouds. Guests often opt for our guided tours of Moshi, experiencing the vibrant marketplace, historic buildings, and the opportunity to pick up souvenirs from your trip to Tanzania. GETTING TO THE MOUNTAIN: Day 1 of our journey up Kilimanjaro features a drive to the northern side of Kilimanjaro where we’ll enter through the Rongai Gate. The drive time is around 3 hours, a little longer than the drives to the Lemosho/Machame gates by about 1.5 hours. 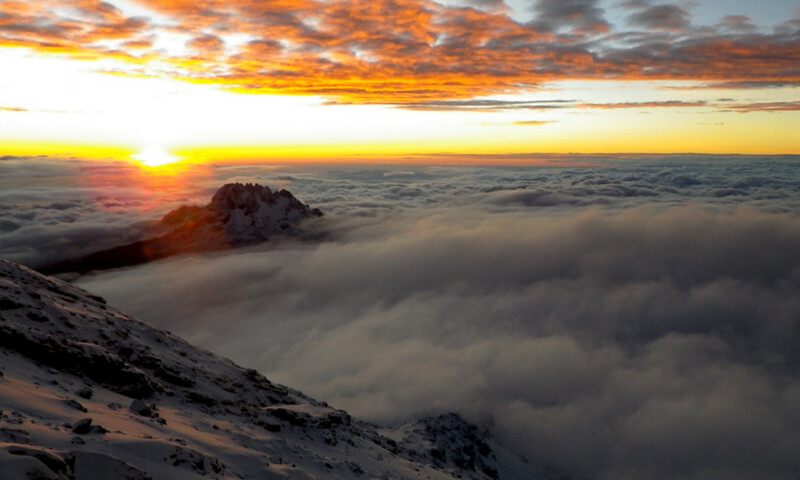 CLIMATE ZONES: Kilimanjaro features 5 distinct climate zones. The start of the Rongai route features fields of maize and potatoes before trekkers enter a pine forest. Higher on the mountain we encounter the heather/moorland area which offers great views out towards the plains of Kenya. The next zone encountered is the highland desert region, a dry zone featuring some interesting plantlife, including the Dendrosenecio kilimanjari, a stunning groundsel found only in this portion of the mountain. Finally as we approach the upper mountain we’ll reach the arctic zone which includes the summit glaciers – a unique and unforgettable experience! The Rongai Route is a 10 day itinerary, including travel and rest days in Moshi. We will transfer by Land Rover (about 3 hours) to the attractive wooden village of Nale Muru (1950 m). After signing in and preparing the porters, we will begin the hike on a wide path that winds through fields of maize and potatoes before entering pine forest. The forest begins to thin out around the first camp is at the edge of the moorland zone (2600 m) with extensive views over the Kenyan plains. A short but steep climb up grassy slopes will reward us with superb panoramic views and a tangible sense of wilderness. Camp is at Mawenzi Tarn (4330 m), spectacularly situated in a cirque directly beneath the towering spires of Mawenzi. The afternoon will be free to rest or explore the surrounding area as an aid to acclimatization. We’ll spend the day exploring the area while resting for our upcoming summit. This rest day has proven remarkably effective at making the summit bid on Day 8 much more enjoyable and safe for our guests. 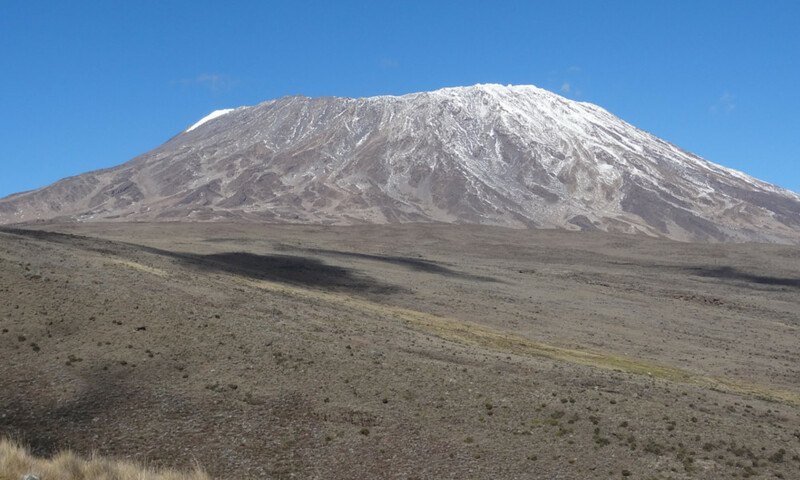 We will cross the lunar desert of the ‘Saddle’ between Mawenzi and Kibo to reach Kibo campsite (4750 m) at the bottom of the Kibo crater wall. The Rongai route is on the drier Northern side of Kilimanjaro and sees less rain/snow than the Machame and Lemosho routes.